As is always the case with upcoming smartphones, rumors about the iPhone 8’s shape, size, and specs are arriving thick and fast. But the latest photos may give us a pretty good idea of what the final handset will look like, as they’re images of CNC dummy models. 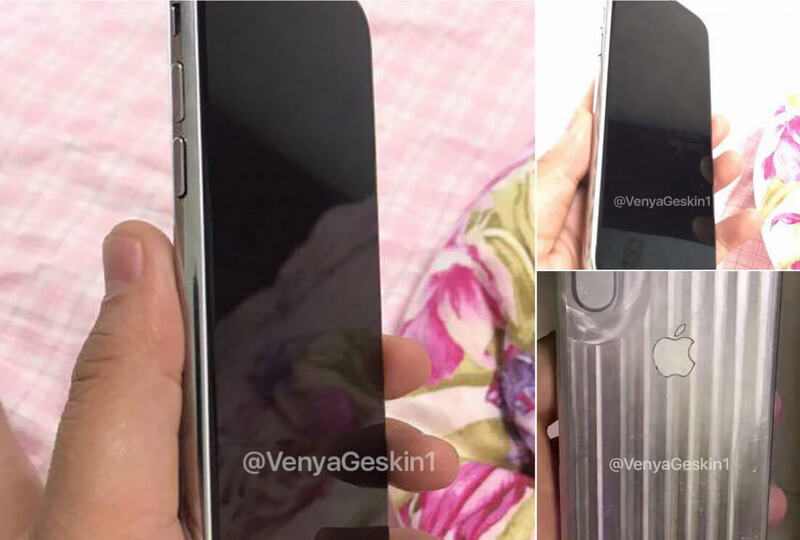 Posted on Twitter by Benjamin Geskin, Foxconn has reportedly confirmed the pictures really are of an iPhone 8 dummy chassis. As rumored, the handset follows the current trend of bezel-less phones, featuring an edge-to-edge front screen with an earpiece at the top. There’s no sign of a fingerprint reader, suggesting it will be integrated under the display. The front and back panes of glass are separated by a piece of stainless steel, which Geskin says will be polished black in the final version of the phone. There’s also a vertical cutout on the back for the new dual camera system. There are separate volume buttons on the side of the device, along with a mute switch. The right side sports a SIM tray and power button, which is longer than the one found in current iPhone models. Geskin posted some updated schematics of the device, which show a hidden row of sensors at the top of the front screen, as well as a noise-reduction microphone beside the LED flash on the back. The handset will supposedly be the same thickness as the iPhone 7 – 7.1mm – and be approximately the same size, albeit with a larger display thanks to the lack of bezels. It’s important to remember that elements of this design could change in the final version of the phone – Bloomberg writes that Apple is testing several prototypes. Reports say the iPhone 8 will feature a 3D sensing front camera, wireless charging, 3GB RAM, and a 5.8-inch OLED 521 PPI display. It will likely cost around $1000.